On 21 August 2017, over 100 million people will gather in a narrow belt across the USA to witness the most watched total solar eclipse in history. 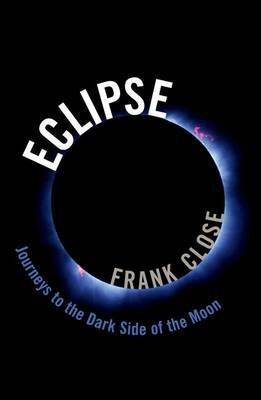 Eclipse - Journeys to the Dark Side of the Moon, written by well-known popular science author Frank Close, describes the spellbinding allure of this most beautiful natural phenomenon. The book explains why eclipses happen, reveals their role in history, literature and myth, and focuses on eclipse chasers, who travel with ecstatic fervour to some of the most inaccessible places on the globe to be present at the moment of totality. The book includes the author's quest to solve a 3000 year old mystery: how did the moon move backwards during a total solar eclipse, as claimed in the Book of Joshua?It is an inspirational tale: how a teacher and an eclipse inspired the author, aged eight, to a life in science, and a love affair with eclipses, which takes him to a war zone in the Western Sahara, to the South Pacific and the African bush. The tale comes full circle with another eight-year old boy - the author's grandson - at the 2017 great American eclipse. Readers of all ages will be drawn to this inspirational chronicle of the mesmerising experience of total solar eclipse.